Panaya Success Center How to review all user comments? How to review all user comments? The Comments report includes comments from all Project activities, including Requirements, Tests, Defects & Corrections. 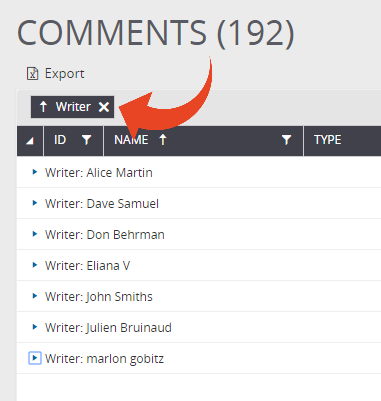 You can group by specific columns by simply dragging the column header to the top of the table.